HAPPY EASTER MY PEEPS! Hoppin’ on here real quick to share my Easter outfit with all of you. We are having a pretty chill day, we visited my Gigi and my dad is smoking a brisket, YUM!!! I decided to go for a comfier outfit and I love it!! I just got these jeans from Target and they are so comfy!!!! 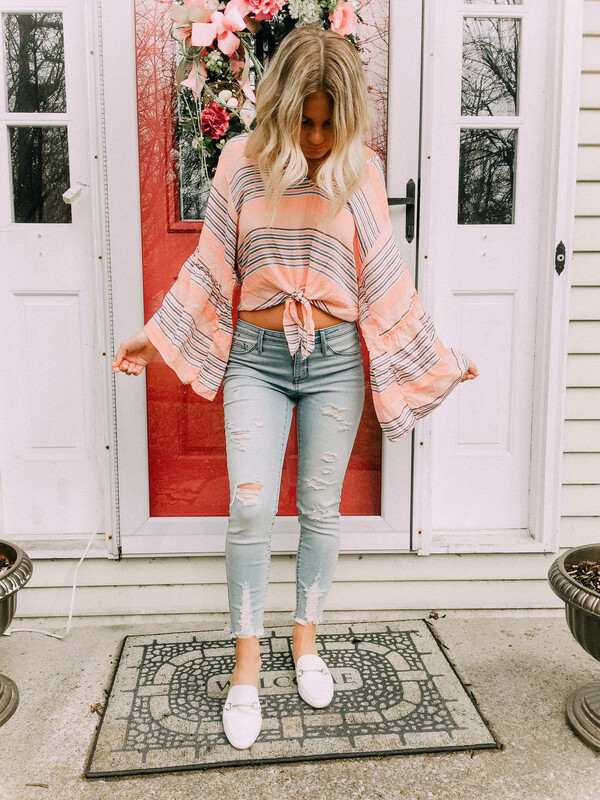 I also recently purchased this top from T.J. Maxx but I couldn’t find the exact one, so I’m linking some similar tops below! I hope everyone had a blessed day spent with their loved ones!